Marvel Preview: Weapon X #23 – AiPT! When a secret clan of Satanists wants hell on Earth for mutants…Weapon X-Force is the only team standing in their way! 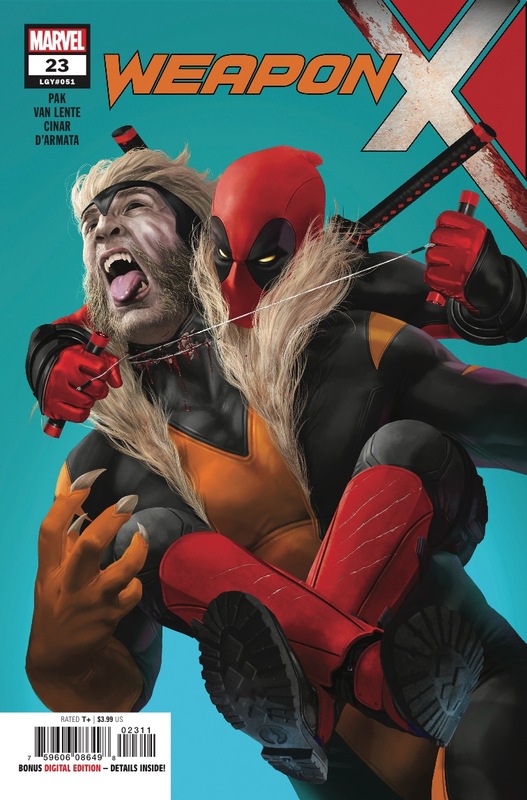 GUEST-STARRING DEADPOOL! When a secret clan of Satanists wants hell on Earth for mutants…Weapon X-Force is the only team standing in their way! You won’t believe who’s moving heaven and hell to end mutantkind this time!